Gregg Drilling operates air vacuum excavation systems primarily for utility clearance before drilling activities commence. It is standard practice to either hand auger or air-vac a borehole location to anywhere from 5-10ft below ground surface. This confirms that no utilities are present and drilling activities can commence. Any utility clearance is performed only after obtaining a USA ticket number and noting marked utility locations. Air-vacuum works by forcing out high-velocity, supersonic air to explode the soil from within for easy vacuuming and quick backfilling. The vacuum excavation system utilizes kinetic energy in a high velocity air stream to penetrate, expand, and break up soil. The loosened chunks of soil and rocks are then removed from the hole with a powerful vacuum and are ready for quick backfilling. This system offers higher performance in most soils, which means greater efficiency and lower cost for you. 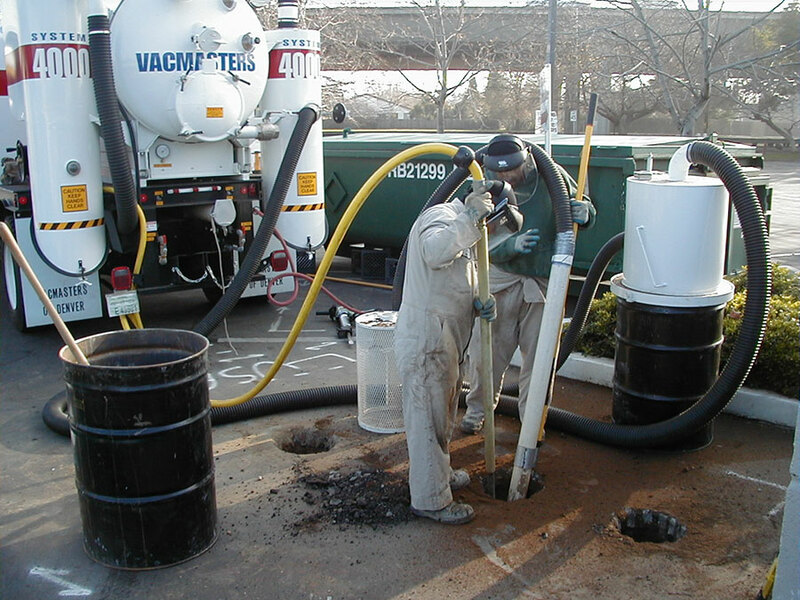 Air vacuum excavation turns a backbreaking and dangerous job into a fast, simple, safe and cost effective process. Collected spoils remain dry for fast, efficient backfilling. Safer for utilities and operator. Air won’t damage road base.